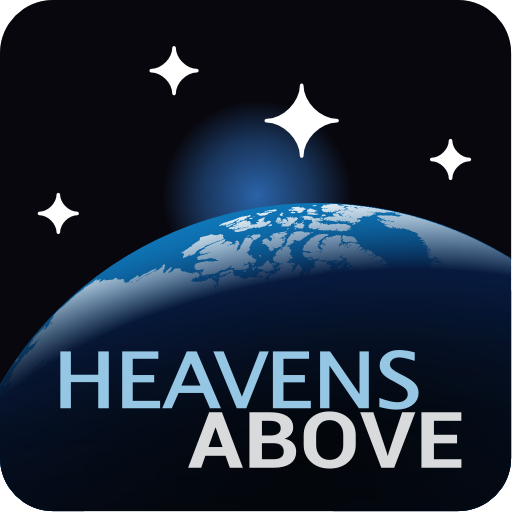 Heavens-Above Pro is an app for Android made by Heavens-Above. 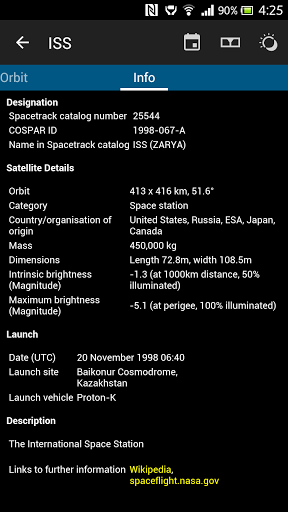 It helps to track satellites. 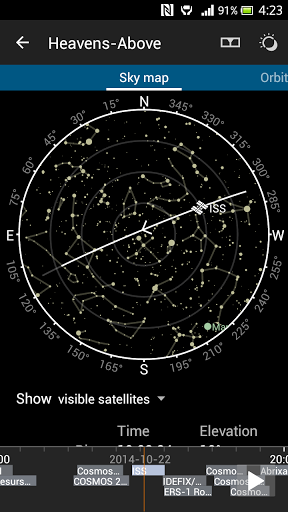 When can I see the ISS? What's that light in the sky? 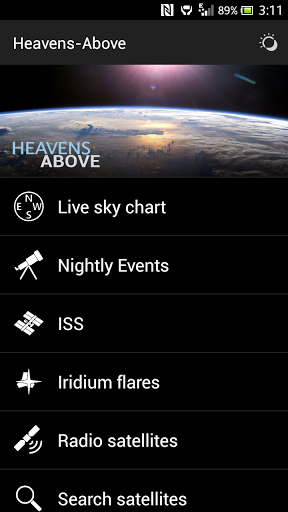 The official Heavens-Above app provides you with precise pass predictions for the ISS, visible satellites, Iridium flares and radio satellites. 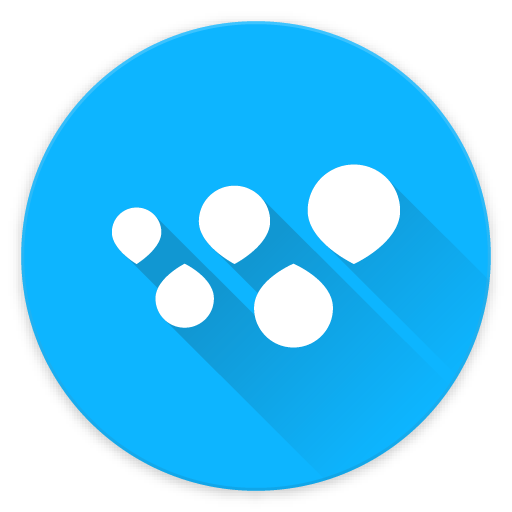 Main features include: No advertisements This version is free of advertisements. You can try the free version before buying this one. 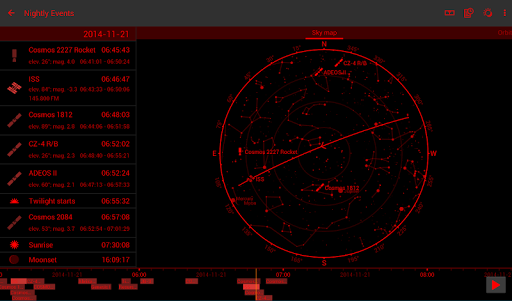 Live sky chart See what's in the sky above you right now or at a given moment. 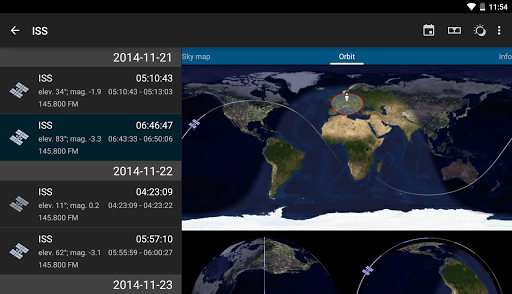 Pass predictions Get precise predictions for passes of the ISS and most visible satellites. 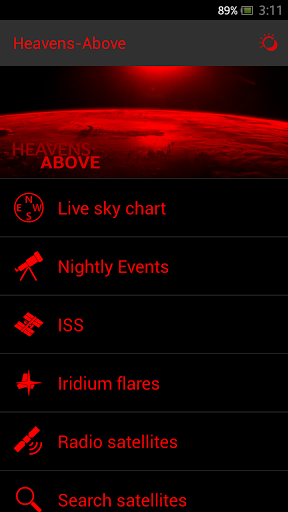 Iridium flares See when Iridium satellites mirror the sunlight directly towards you, resulting in bright flares. 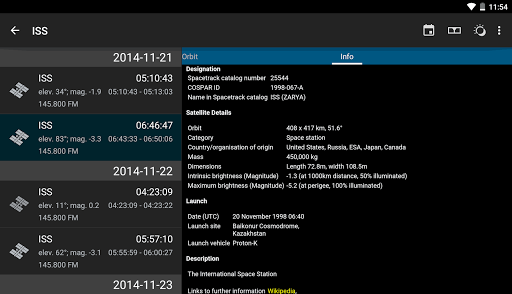 Radio satellites Get passes for amateur radio satellites, complete with uplink and downlink information. 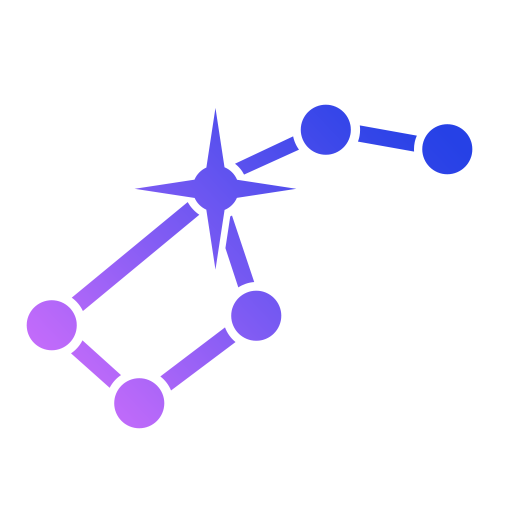 All calculations performed locally Predictions are generated right on your phone so you only need a data connection every few days. 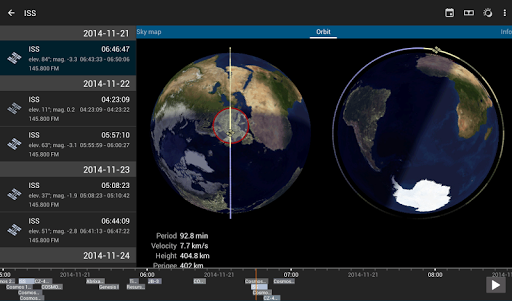 Orbit and ground track See details about the orbit of any selected satellite rendered and with all relevant data. 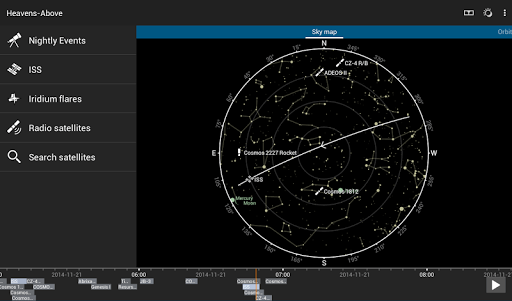 Satellite details Get detailed information about any satellite, as provided by our Heavens-Above website. 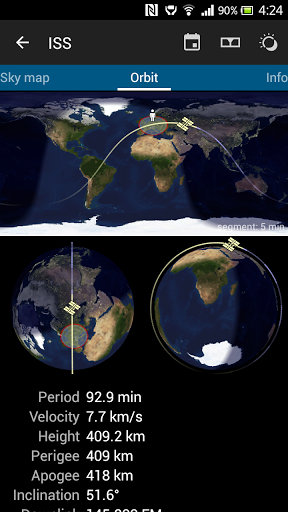 Timeline Get a visual overview over passes and animate the position of satellites on the sky chart and on the ground track. Night mode An optional red on black color scheme to preserve your night vision. 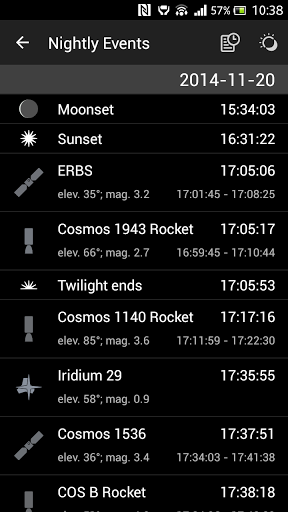 Tracker Easily find or identify any object in the sky by orienting your device towards it. Calendar Integration Quickly add interesting passes to your calendar so you won't miss them. 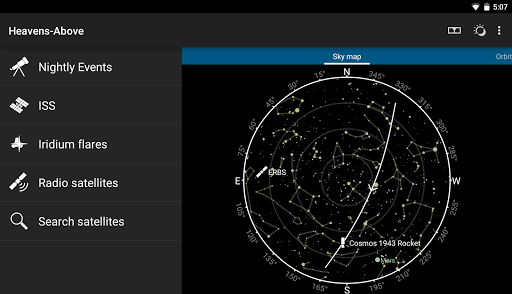 "When can I see the ISS? What's that light in the sky? 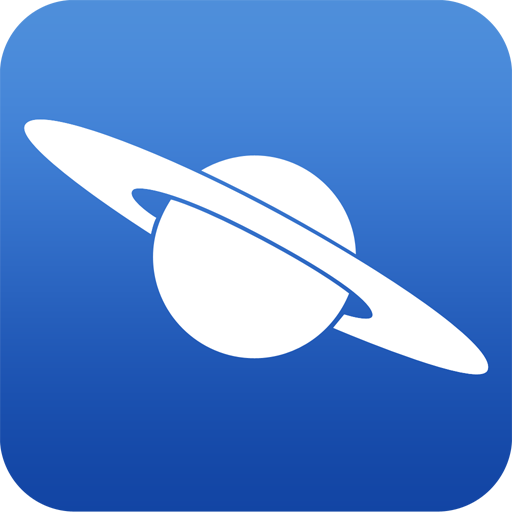 The official Hea..."
"Used by over 20 million people world-wide, Star Chart provides a magic..."
"The Withings Health Mate is the simple way to take care of yourself an..."
"Have you seen the International Space Station? 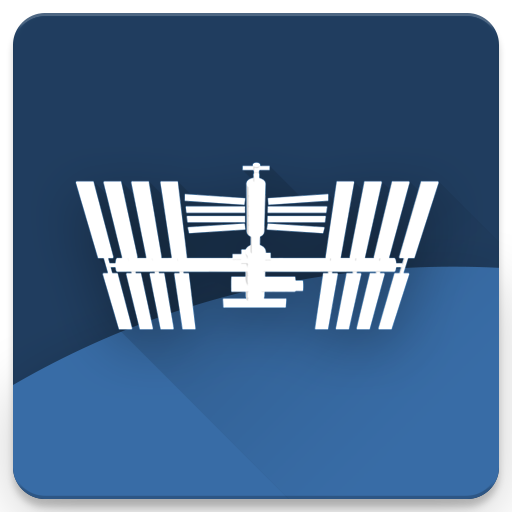 It is visible with the ..."
"Star Walk 2 is an exquisite sky map that combines astronomical data wi..."